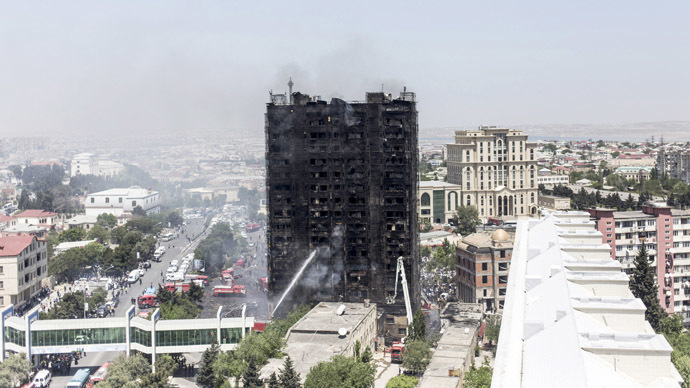 Seventeen people are dead and more than 60 injured, after an apartment block in Azerbaijan’s capital, Baku, went up in flames in just seconds. Officials blame cheap plastic paneling for the rapid escalation of the fire. “We received an emergency call about the fire at 10:57 am. 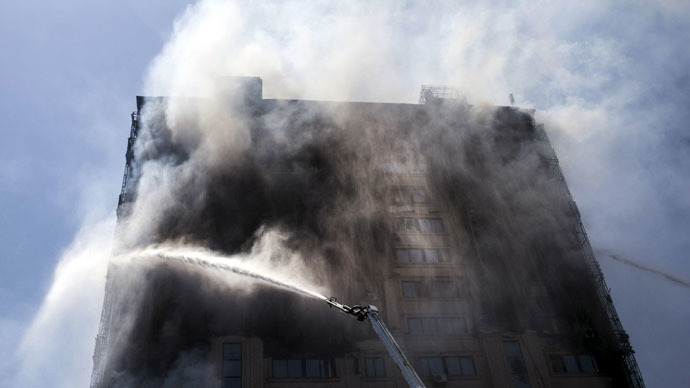 It was difficult for the fire vehicles to get right up to the building, as it was blocked and the fire spread to the top floors,” said deputy emergencies minister Etibar Mirzoev. As the fire consumed the 16-story Soviet-era high-rise, which had been renovated in recent years, a traffic jam formed as onlookers gathered on the surrounding streets. Gas canisters kept by the building’s inhabitants began to explode. Eventually more than 40 fire vehicles and ambulances were called to the scene. 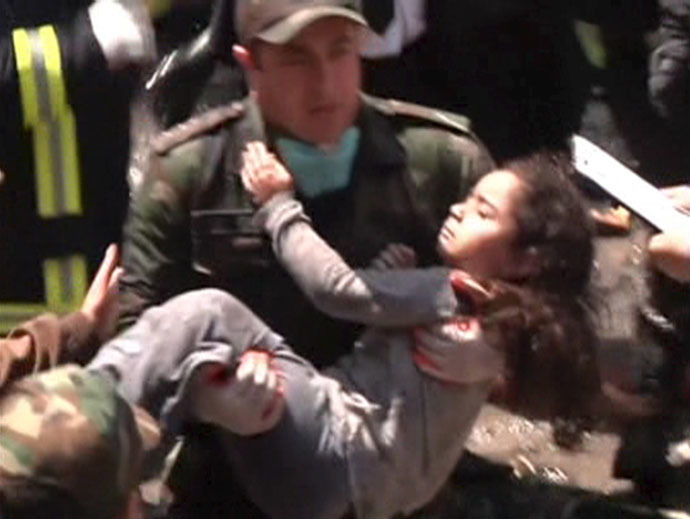 Two helicopters circled the top floor, though officials say they were “ineffective.” Footage showed panicking residents begging the emergency staff to let them back inside the building, where their relatives remained trapped. It took four hours to put out the fire by which time most of the victims, including three children, were long dead. 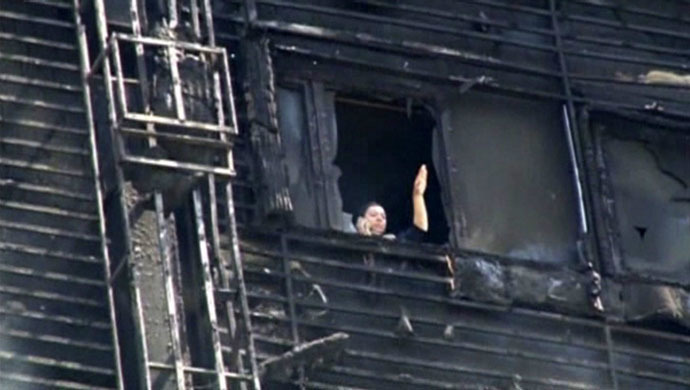 “Those who stayed in their flats did not suffer any injuries from the fire. However, those who tried to leave the building in a panic were poisoned by smoke,” said Mirzoev. More than 800, mostly pre-independence buildings in Baku have been clad in similar gaudy panels, despite previously voiced concerns from the media. The city’s mass redecoration has been spurred by an oil and gas boom in recent years. State television showed footage of workers removing the paneling from several apartment blocks just hours after the fire was extinguished. Ilham Aliyev, the president of Azerbaijan, which is due to host its biggest-ever public event, the European Games, next month, said he was taking personal control of the investigation. "Individuals and institutions who have committed violations, will be severely punished," asserted his aide Ali Hasanov. He also reported that the former residents of the charred building had been rehoused, and promised they would be compensated by the state.